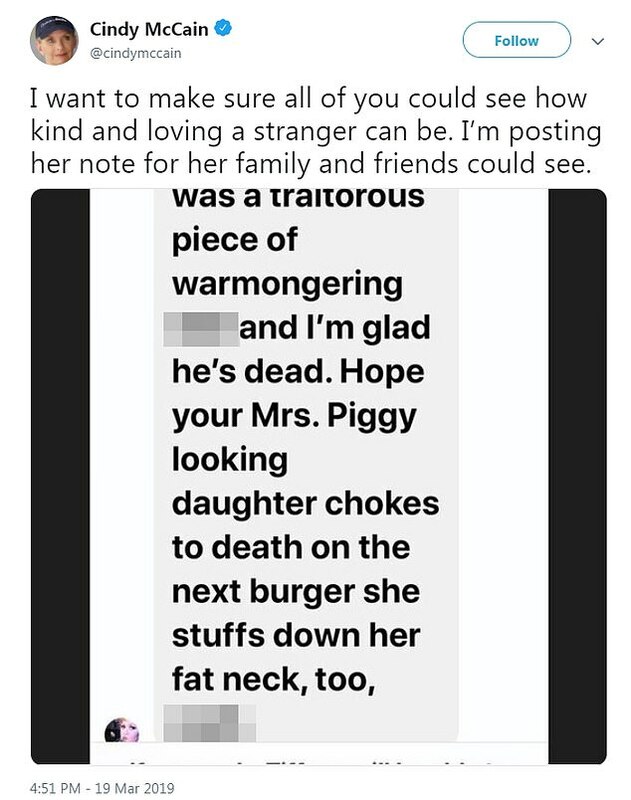 Her post comes on the fourth day of attacks President Trump has launched against John McCain. 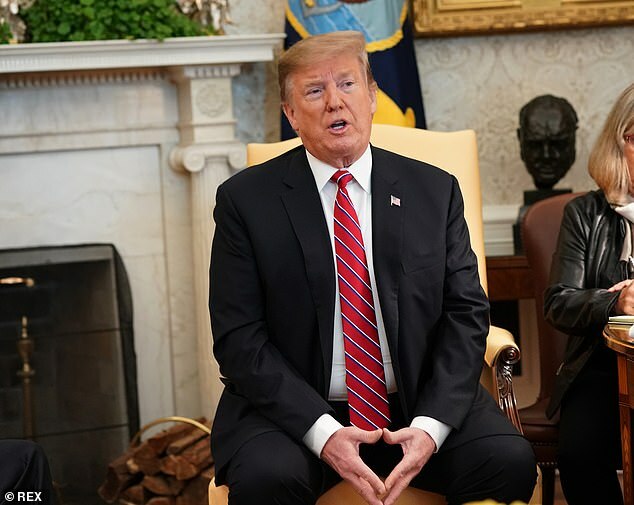 Over the weekend the president launched a barrage of tweets against the late senator, which reporters asked him about in the Oval Office Tuesday during a state visit with Brazilian President Jair Bolsonaro. Trump cited McCain's 2017 Senate vote that ended GOP efforts to repeal the Affordable Care Act - former President Barack Obama' signature healthcare law - as the reason for his anger. 'I'm very unhappy that he didn't repeal and replace Obamacare as you know. He campaigned on repealing and replacing Obamacare for years, and then he got to a vote, and he said thumbs down. And our country would have saved a trillion dollars and we would have had great healthcare,' Trump said Tuesday. He added that Sen. McCain 'told us hours before that he was going to repeal and replace' before voting the opposite way. 'Frankly, had we even known that I think we would have gotten the vote because we could have gotten somebody else. So I think that's disgraceful, plus there are other things. 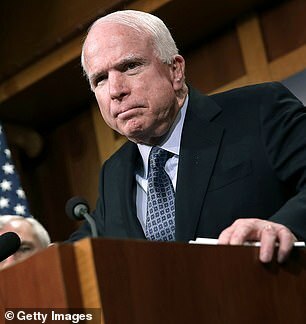 I was never a fan of John McCain and I never will be,' he said. 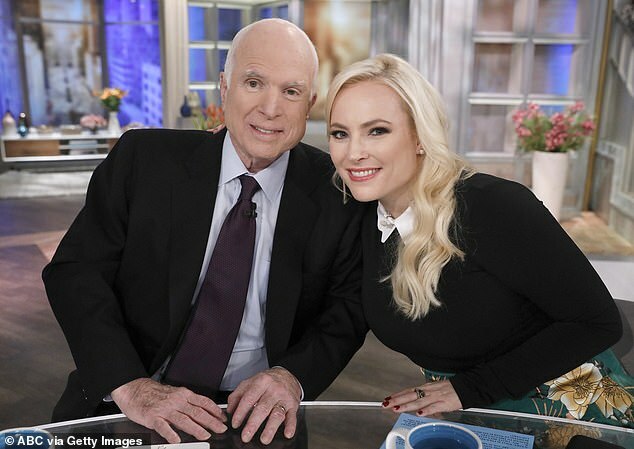 As part of her defensive strategy, Meghan McCain posted on Instagram a photo that showed military honors under her father's name and a bunch of pacifiers under Trump's name. 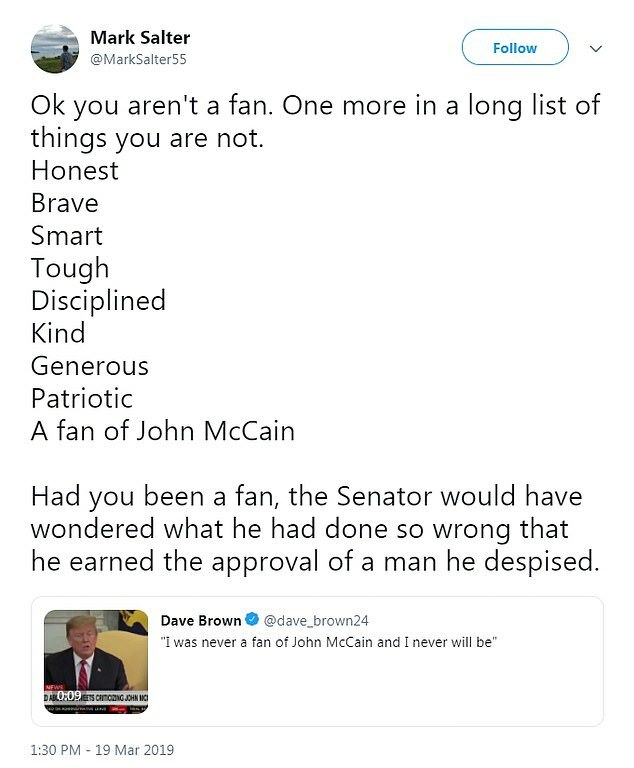 She also retweeted a flood of supporters defending her father and the McCain family. She also retweeted a tweet from Mark Salter, one of McCain's top aides in the Senate who co-wrote several of his books. 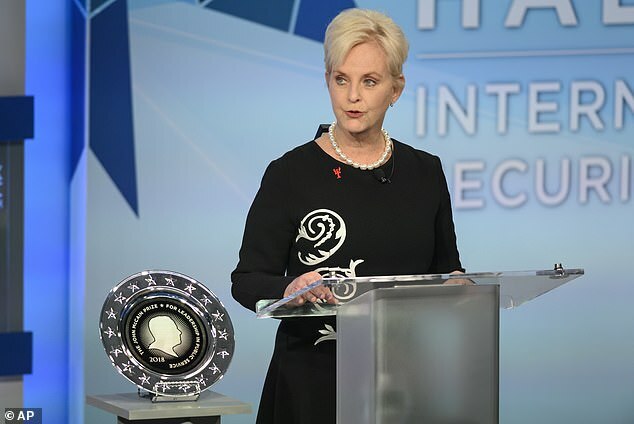 After Meghan McCain's Instagram post, Trump campaign senior adviser Katrina Pierson fired back with a mocking one of her own, featuring the same image of military honor's under McCain's name but the presidential seal under Trump's. Cindy McCain has also retweeted defenders of her late husband. The back-and-forth between the two camps is now in its fourth day of battle. 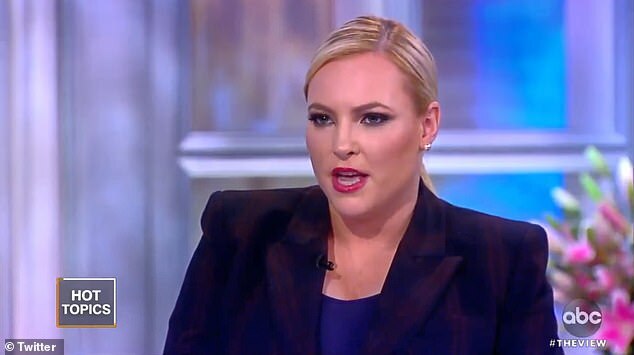 On Monday, Meghan McCain slammed Trump for having a 'pathetic life' for spending his weekend tweeting criticism of her father. 'My father was his kryptonite in life. He was his kryptonite in death,' she added. 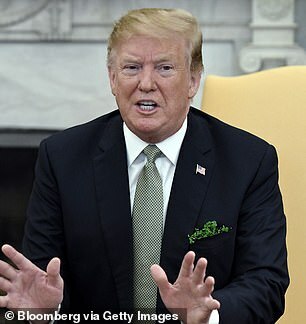 Trump attacked the late senator twice this past weekend on Twitter, focusing on McCain's ties to the infamous Steele dossier that contains the unverified allegations the Russians have blackmail material on the president. 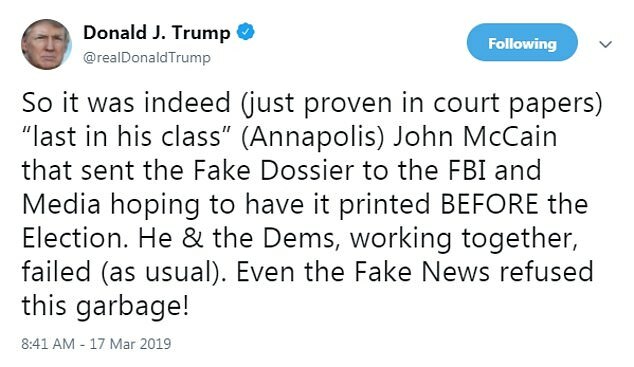 'So it was indeed (just proven in court papers) 'last in his class' (Annapolis) John McCain that sent the Fake Dossier to the FBI and Media hoping to have it printed BEFORE the Election. He & the Dems, working together, failed (as usual). Even the Fake News refused this garbage!, the president wrote on Sunday. McCain was actually fifth from the bottom of his class at the Naval Academy. 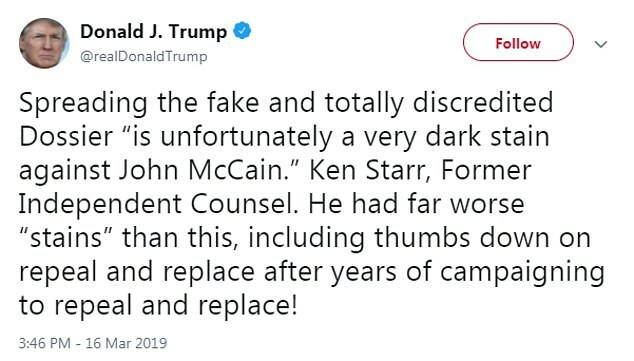 'Spreading the fake and totally discredited Dossier 'is unfortunately a very dark stain against John McCain,'' Trump wrote, attributing the quote to, Ken Starr, the former independent counsel whose investigation led to Bill Clinton's impeachment. McCain's 'no' vote on the GOP effort to take down Obama's signature law stopped the effort in its tracks. 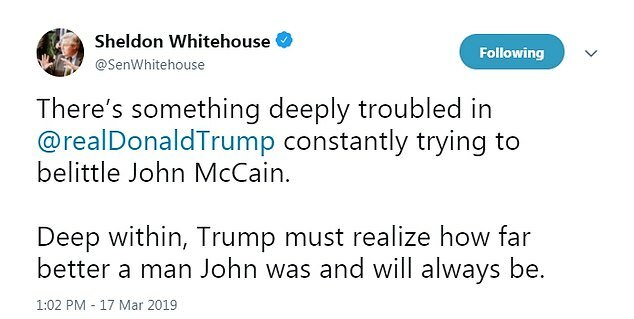 The president and McCain had a testy relationship when the senator was alive leading to McCain not inviting Trump to his funeral, where the former Presidents Barack Obama and George W. Bush gave the eulogies. In regards to Trump's allegations, there is no evidence that McCain shared the Steele dossier before the election. 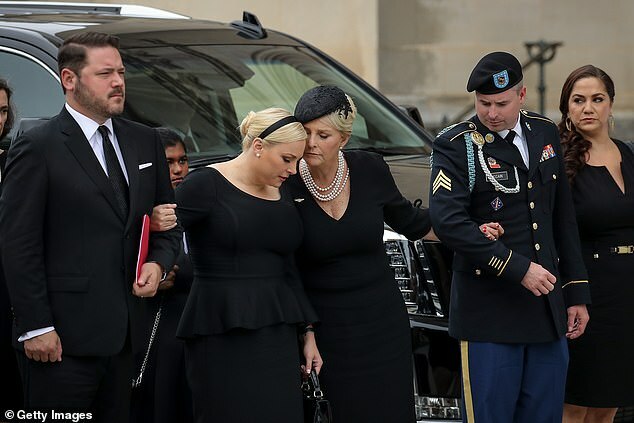 Meghan McCain also slapped back at the president on Saturday, saying he will never be loved. 'No one will ever love you the way they loved my father.... I wish I had been given more Saturday's with him. Maybe spend yours with your family instead of on twitter obsessing over mine?' she tweeted on Saturday. 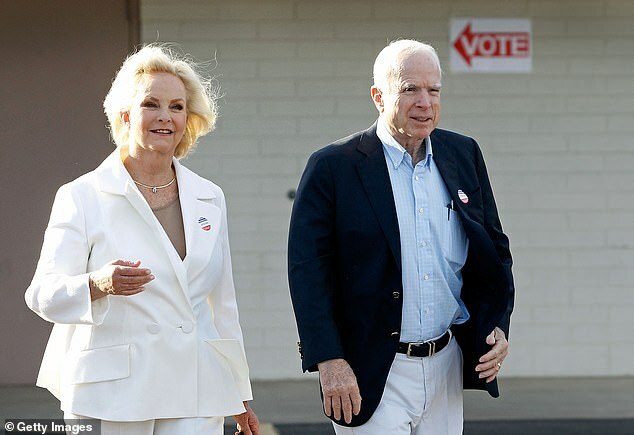 John McCain died at the age of 81 after battling brain cancer. He made explicit his desire that President Trump not attend his funeral. His beef with President Trump dates at least back to the 2016 presidential campaign, when Trump criticized him for being taken prisoner in Vietnam.